I’m pretty new to papermaking. I make molds, and I really love the idea of 3d-printing them, because it gives a chance to create paper with watermarks so much cheaper and cloth! But I still have to learn a lot about the process. In the beginning, I used only some old paper to make recycled paper. But late last autumn I decided to reuse some of my old cotton T-Shirts. Not everything went as well as I hoped, because for my first try I put too much cotton and not enough recycled paper. The result was too dense and thick for the watermarks to be even slightly visible. But then I changed the proportions, and I love the result. I mean, at least from my amateur point of view. However, here is what bugs me and prevents me from continuing my experiments with cotton. 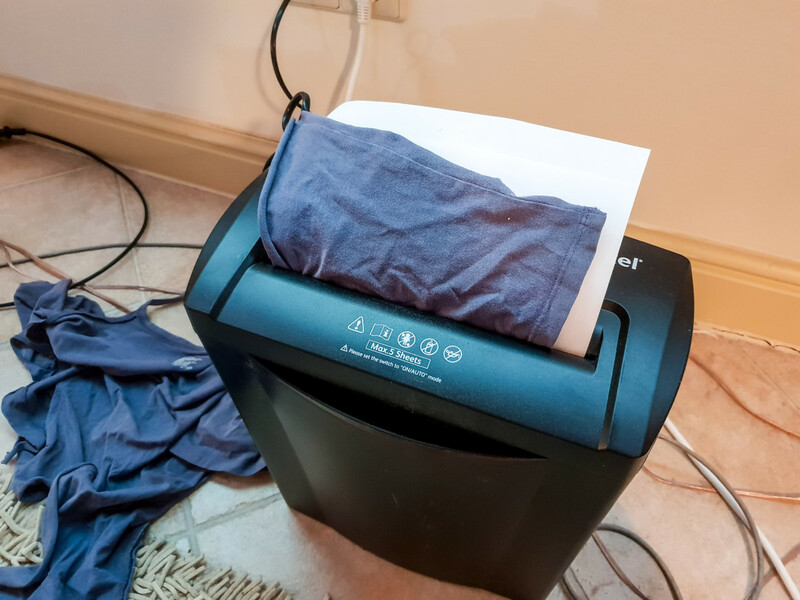 Before putting pieces of paper and cloth into a blender, you need to shred them. 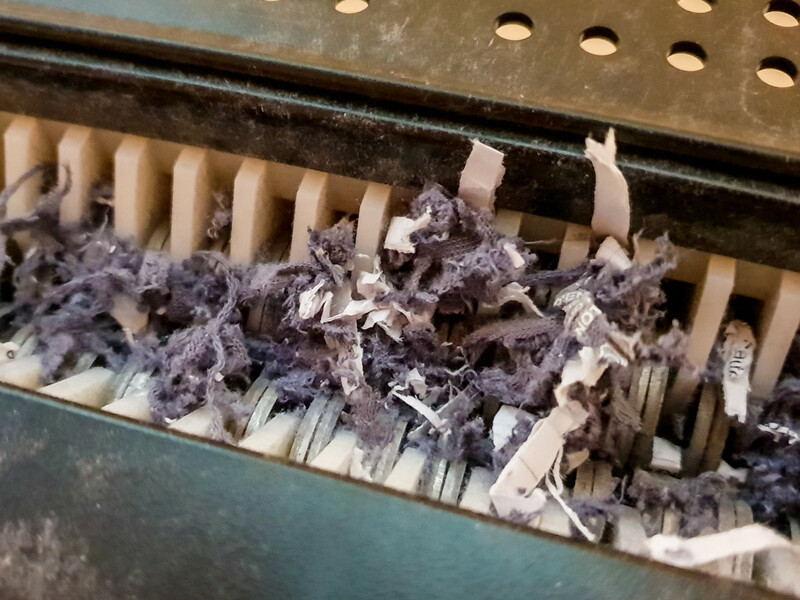 My small shredder works well with paper, but it isn’t powerful enough for cotton. It sort of shreds it, but then every time I have to take pieces of cloth wrapped around the shredder’s blades and axis. That’s an overwhelmingly maddening process! And in any case, I have to cut the resulting pieces of cotton into smaller shreds with scissors before putting them into a blender. Besides buying a more powerful shredder what other options are there? Are you using a mincing machine? I’m sure that my wife wouldn’t be happy if I put a Hollander beater in our living room. In any case, I don’t want to spend a fortune on what is more like a side hobby than my main craft. What do you do to add cotton to your paper pulp? Are there any cheap solutions?